Understanding the restaurant minimum wage requirements for your employees is one of the most important things you need to do for your business. But it can also be the most confusing. Different states have different regulations when it comes to tipping, hourly exemptions, and breaks. But arming yourself with the appropriate resources will make sure that you’re always compliant. These are some of the best practices you should know so that you’re paying your employees properly. Please note that these best practices do change from time to time, so check with the Department of Labor before establishing your restaurant’s minimum wages. The first thing you need to know is that there are federal laws establishing the minimum requirements. But each state also has its own laws. Your policies must adhere to both. Tipped Employee: Any employees who regularly receives more than $30 per month in tips is considered a tipped employee. Exempt Employee: Some employees are exempt from the overtime pay provisions, per Fair Labor Standards Act (FLSA). This classification is based on salary and role. It generally applies to any staff in administrative or management roles. Regulations for these roles vary state to state. So be sure to use the DOL site as a resource for your specific area. To pay tipped employees full state minimum wage before tips. To pay tipped employees a minimum cash wage above the minimum cash wage required under the federal Fair Labor Standards Act ($2.13/hour). To pay the same wage as that required under the federal Fair Labor Standards Act ($2.13/hour). It was once accepted that all tipped employees were paid the restaurant minimum wage. But as the cost of living increases (dramatically in some places) and quick service establishments become more popular, many employers are forced to pay their tipped employees above minimum wage. While money is not the only factor is finding and retaining a great team, an extra 50 cents or dollar per hour could be the difference in hiring the rockstars you need to maintain your business. Just as with wages, every state has different rules when it comes breaks. It’s important that you remain compliant, as you could be subject to fines, or even lawsuits, if you get it wrong. Breaks generally fall into 30 or 10-minute increments. In some states, simply giving an employee a break is not enough. The breaks must fall between certain hours. Some states allow employees to skip certain breaks if they opt-out. And other states require employees to be paid for breaks, whether they choose to skip them or not. This DOL chart provides a great resource for determining the rules for your state. The restaurant industry has never been more split on tipping than it is right now. There is no definitive answer on how to distribute tips. And there are solid arguments for different arrangements. A tip pool will often encourage more teamwork. Employees are incentivized to work together and help each other out. But this can also be discouraging to some people. More experienced servers want to be in control of their own tips. Policies that allow individuals to keep their own tips often attract better talent. But it also makes it harder to find people to work slower shifts. A hybrid model is a good option to keep everyone happy. During predetermined days or shifts, tips are pooled. And on others, servers keep their individual amounts. No matter which policy you choose, know that you can not instruct your employees to distribute their tips to non-tipped team members. It is okay to encourage tip outs to the bussers, expediters, and kitchen staff. But, you absolutely cannot require that they do so. Also, make sure that any managers who have any scheduling or HR responsibilities do not accept tips. This can create a conflict of interest that most states frown upon. It’s also becoming more and more acceptable to keep credit card tips and distribute them through paychecks instead of cash. This allows the business to be more compliant with tip reporting. And it allows servers to declare higher incomes that can help them with home loans, car loans, or other financial responsibilities where cash tips can be challenging to quantify. You or your employees could be audited at any time, so it’s best to stay ahead of the curve with compliance. The restaurant minimum wage varies from state to state, and regulations may be updated from the time of this article’s publishing. Visit the Department of Labor to ensure you are complying with your state’s regulations before establishing your restaurant’s wages. Ryan Gromfin, The Restaurant Boss, works with restaurant owners and operators all over the world to help them move from a state of stress, struggle and being overwhelmed by operating a restaurant to one with more money, more freedom and more joy in operating their restaurant business. 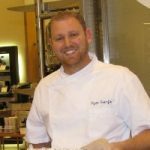 As an author, speaker, restaurant coach and consultant Ryan has created TheRestaurantBoss.com as a resource for you to get valuable tips and tricks, so you can run a High Profit and High Performance Restaurant.